All day coverage – I’ll shoot from the bridal preparation to late into the evening. At least 400 high resolution colour images (jpgs) on a wooden memory stick. No watermarking & full print release. A second copy of your high resolution images all processed in black and white. Not just one or two photos in black and white – all of them! 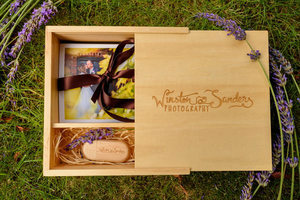 A rather lovely presentation box featuring your USB stick and a few prints. Every single image edited to look it’s very best. Colours, cropping, contrast, exposure levels, etc. Another complete set of your images at a resolution optimised for sharing on social media such as Facebook so you don’t have to wait for hours for your pictures to upload. An online password protected gallery so you can easily view and share all of your images with your guests. A snazzy phone app featuring your favourite images. Your own dedicated wedding gift webpage where your guests may purchase credit towards a wedding album for you. Travel included. For anywhere further afield, please get in touch for a quote. I am more than happy to travel abroad. So far Australia has been the furthest! Consultation to discuss your wedding photography. This can be over the phone or a much better option is if we can see each other so that we can really get to know each other a bit better. Norwich meet ups are great but I am aware that most of my customers are based all over the country. It’s not a problem though with Skype or FaceTime! Get in touch to check my availability and view my price brochure. An engagement shoot. This is a good way for us to get to know each other and for you both to get more comfortable with having photos taken of you. It’s lots of fun and you’ll get some lovely photos in addition to your wedding shots. Wedding albums. 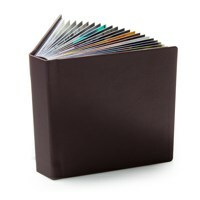 Included in my top two packages, wedding albums are a fantastic way to enjoy your images. Get in touch to find out more about what I can offer. If there is anything extra you require that is not included above, please do get in touch and I shall do my very best to tailor make a package for you. Liking the sound of this? Let’s have a chat! If you haven’t already, please do also have a read through some of the testimonials from my past customers. If you are interested in hiring me for an event, actor headshots, corporate photography, anything non-wedding related, please don’t be shy, get in touch for a quote. Weddings are my passion and primary focus but I like to mix it up every now and then.